Jeff Mao, who helped lead the nation's first statewide 1-to-1 learning program, reflects on supplemental "bring your own device" (BYOD) programs vs. required BYOD programs. Across the country, school districts are seeking solutions to increase students' access to computing technologies. In many cases, they are choosing to implement 1-to-1 programs, wherein every student has a personal computing device for learning. When determining the best solution, the term "bring your own device," or BYOD, frequently enters the conversation. 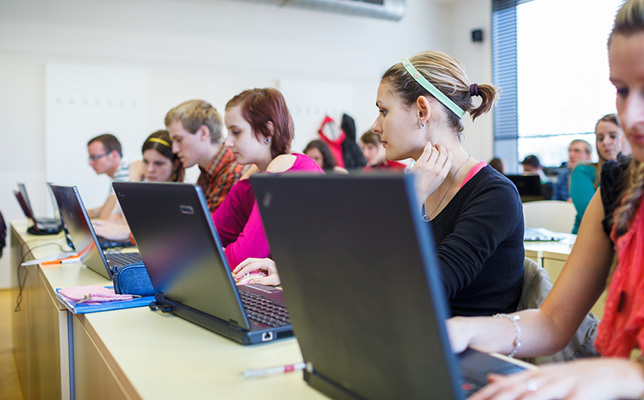 Schools that implement BYOD programs will choose one or both of two approaches: required BYOD and supplemental BYOD. While supplemental BYOD is a common-sense way to broaden students' and teachers' classroom resources, required BYOD is a problematic choice that will challenge a school district's staff and the community as a whole. Supplemental BYOD takes advantage of the personal digital devices students already have as a way to supplement learning. When implemented, these programs have policies to provide clarity to students about how and when they can use their devices, how to connect to the school's WiFi, their responsibilities, and the expectations of responsible use. Assignments and learning activities are not designed around the devices; rather, students are allowed to find ways their devices can aid them with their learning. A supplemental BYOD program just makes sense. If a school has invested to build a WiFi infrastructure, shouldn't we make it as easy as possible for students and teachers to leverage it for learning? Take the time to develop the policies, practices, and expectations of appropriate and responsible use for a supplemental BYOD program and allow students to leverage the computing power of their smartphones, tablets or other devices for learning. It may take a couple years to develop these policies and build the culture necessary to support it, but the sooner you start, the sooner you arrive. If you think this is too hard, consider that New York City schools began this process in March of 2015. And if the nation's largest district can do it, any district can. Required BYOD anticipates that students may have personal digital devices and integrates them into the teaching and learning environment. The program requires that students bring a personally owned device to school to fully participate. Most of these programs anticipate that some students won't be able to purchase a device. Typically, they include a budget for purchasing devices for students who can't. Usually they use eligibility for the federal free- and reduced-lunch program as a proxy for a student's eligibility to receive a district-owned device. The supporters of required BYOD programs will tell you that it relieves the district from bearing the cost of the equipment. Additionally, the supporters will tell you that most of the kids already have devices and that to ignore those devices would be a waste of available resources. When challenged about the family that cannot afford to purchase a required device, they will tell you that the district has set aside funds to purchase a device for that family. Unfortunately, implementing a required BYOD program as a way to increase students' access to computing power is actually going to cause more problems than it solves. Here are my three primary arguments against required BYOD as a school- or district-wide solution. Let's start with the argument that a required BYOD program saves money. A simplistic look at the district budget will show that it is indeed a savings. If you compare the cost of devices for a district that purchased a device for every student to a district that purchased a device for none (or a small percentage) of its students, of course, the former will show a higher expense. While the math works out to show a savings, it lacks a systems-thinking approach. Rather than fixating on the district budget, let's consider the community's total budget. When a district places the responsibility of purchasing devices on families, it gives up the discounts available to districts (educational discounts and potentially volume discounts) on device purchases. A required BYOD program is more expensive for the community as a whole since more dollars leave the community to pay for equipment. Additionally, you are now essentially double-taxing part of your community: those families with students who do not qualify for the district's assistance. School systems have enough of a challenge communicating the value of public education to the community (in which voters with no students outnumber voters with students), let alone potentially disaffecting a large portion of your direct constituents. When considered from a teaching and learning perspective, BYOD becomes even murkier. The introduction of personal digital devices into classrooms is not simple. We have all seen years and years of efforts by many to effectively integrate technology into the learning process with varying degrees of success. While there is no one simple and straightforward strategy for success, consistency, ease of use, supportability and equitable access all are factors that contribute to success. The introduction of varying technologies with varying functional capacities only complicates the challenge for teachers and students alike. In addition, a lack of technical management capacity and consistency across student devices will likely bring an already busy IT staff to its knees. Supporting a high-access computing environment is already challenging for school IT departments that are generally understaffed to begin with. Adding a multitude of devices that are not in the direct control of the IT department exacerbates the problem. With the addition of online assessments in many states, this variability and lack of management capacity will challenge even the best-staffed and -skilled IT departments. The law also stipulates that public school students "shall not be charged fees for participation in educational activities including cost[s] related to supplies, materials, and equipment." Finally, the law states that "[a] fee waiver policy shall not make a pupil fee permissible." In other words, a school that intends to provide a district-purchased device for certain families does not justify nor make legal the fee to the other students. Additionally, I would point out what I see most commonly in schools with required BYOD programs — that students who qualify for the federal free- and reduced-lunch program are the students who are provided the district-purchased devices. This, in my opinion, is a clear and egregious violation of student privacy. By providing the school-purchased device, the district has effectively labeled every student who qualifies for free and reduced lunch by assigning a specific device that most assuredly has conspicuous labels identifying it as a district-owned device. The devices are the boxes, and we need to look outside those boxes — look more deeply at where students need support, seek to understand which changes in instructional practices and student activities are most effective, and spend less time thinking about the actual devices. Start by implementing a supplemental BYOD program; it can help provide a greater hands-on opportunity for your educators and students to experiment with leveraging technologies in the classroom. Doing so also will require you to develop the necessary policies, habits of mind, and culture that support appropriate and intentional use of technology. With a more concrete plan of how the technology will enhance and change instruction and learning, you are in a much better position to determine the costs and direction of a district-funded program. and how you could change your use of time in ways that could save you expense and ease logistics. Required BYOD is not a solution, and its introduction is likely to create more challenges than its supporters claim it will solve. The community will not save money, the teachers will have a harder time integrating the technology, and the IT department will be significantly challenged to provide adequate support. Policies related to online assessment and management are far more complicated, and the legal issues with required BYOD will only distract the school administration and the community from the core mission: learning.